Christopher Andrews has been writing since the age of seven and acting since the age of ten. The two passions first met when he co-wrote and co-starred in his first stage play (“Rom: Spaceknight,” adapted from the comic book) in 5th Grade — it was a disaster. Luckily, Christopher did not give up on either pursuit. By 9th Grade, his short-story, “Revenge,” had been displayed at the local Community Fair, he had appeared on stage again in a small role in Saved by the Belle, and he had started work, with friend David Vance, on what would be his first novel. Throughout Junior High and High School, he often co-wrote and/or adapted stage material for he and his Humorous Duet partner, Craig Cardin, to perform at Drama Contests, while he also starred in such plays as The Silver Whistle and Greater Tuna. 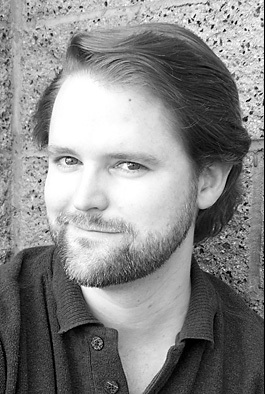 While attending the University of Oklahoma as a Theatre Major, Christopher starred as Bob Cratchit in A Christmas Carol and as Hamlet in Rosencrantz and Guildenstern Are Dead, among many others, and co-founded The Midwest City Off-Broadway Players to co-direct, co-produce, and star as Clifford Anderson in Deathtrap. He also completed two novels, the science-fiction Refuge Among the Stars (1989) and the psychological ghost story The Blue Man (1991), and a series of short-stories: “Thirst,” “Country Music,” “Big Little Brother,” “Suicide is Painless,” “Justice,” “Your Command Is My Wish,” “Mistake,” and “Game Reincarnate” (all 1991). From 1991 to 1992, he wrote film reviews for the Oklahoma Associated Press. In 1992, he co-created and wrote the premiere issue of the comic book The Triumvirate, and he sold his first screenplay, an adaptation of his own “Thirst,” to RF Video Productions. That same year, he met the woman who would one day become his wife and editor, Yvonne Isaak. In May of 1992, Christopher received a Bachelor’s Degree in Theatre, and that August he bid farewell to Oklahoma (and Yvonne) and traveled to California to pursue a career in acting — and he continued to write. Throughout the 1990's, he starred in the family short-film, “Windsong,” where he first met director Jonathan Lawrence; he co-plotted, scripted, and edited the premier and two subsequent issues of the Derek Lipscomb comic book, The Golden Scarab, for Sharp Eye Graphix; and he co-wrote the science-fiction feature-length screenplay, Dream Parlor, with Jonathan Lawrence. 1999 turned out to be quite a momentous year for Christopher. He completed and published his third novel, Pandora’s Game; the Dream Parlor movie, in which he starred, premiered ... and he and Yvonne found their way back together again; they married in 2001. Over the next few years, Christopher starred in such short-films as “Love Conquers All,” directed by Robert Blankenheim, and “HeroMan,” written & directed by Chris Tongue. He also made a return to the stage, frequently working with director Susan Marx and starring in such plays as The Uninvited, Blithe Spirit, Greetings!, and Don’t Dress for Dinner. Rounding out the decade, Christopher's second Triumvirate novel, Of Wolf and Man, the sequel to Pandora’s Game, won the IPPY book awards Bronze Medal for Horror. His web-based fan-series, Duet, was included as part of the Holocaust Memorial on the Israeli website, Starbase972.com; the movie version of Dream Parlor is available on DVD and through Amazon Video; his novelization of the classic horror film, Night of the Living Dead, was released on Halloween, 2009; and Vale Todo/Anything Goes, which he co-wrote with director Roberto Estrella, was released on DVD in May, 2010. Today, Christopher lives in Southern California with his wife, Yvonne Isaak-Andrews, their beautiful daughter, Arianna, and their Pug, PJ. He continues to work as an author, actor, and screenwriter. 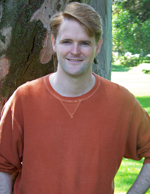 His second Paranormals novel, Paranormals: We Are Not Alone, was released in November, 2012; his Audiobook adaptation of Dream Parlor was released in November, 2014; his novelization of Macbeth was released in November, 2015; and his latest Triumvirate novel, Araknid, was released in November 2017.